1.We're bringing back these awesome hoola hoops and now they are even cooler with LED lighted effects. 2.Simply connect the three pieces together and have some fun. 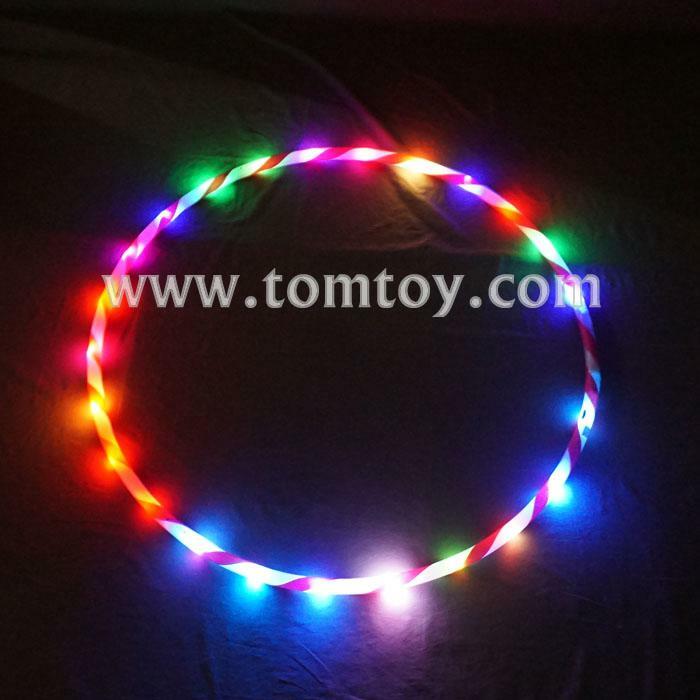 3.Press the button and see several different flashing modes from the different colored LED lights inside. 4.Two pieces AA batteries are required and are included. 5.These hoola hoops will provide hours of entertainment, but remember they have batteries and LED lights, so they are heavier than a regular plastic hoop.